Manny Pacquiao’s eldest son Emmanuel “Jimuel” Pacquiao Jr. just proved to everyone that he has the skills to follow his father’s footsteps and be the country’s next boxing icon. 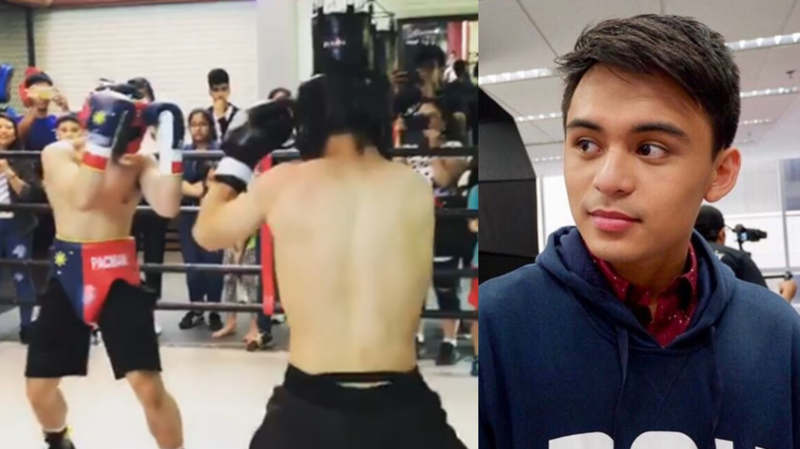 In an Instagram post by ABS-CBN sports correspondent Dyan Castillejo, Jimuel looks like a boxing superstar in the making after he was able to knock down his schoolmate Lucas Carson in the the 2-round bout. Though not considered as a professional boxing match, Manny’s team still cheered on and showed their support to Jimuel. Jimuel has earlier revealed that he is also fond of boxing and would like to represent the Philippines someday. He started training for boxing when his father was also preparing for his fight with American boxer Adrien Broner.